At Renewables, we offer personalized, custom printed eco friendly, disposable paper coffee cups. Contact us with all your custom printing needs. We offer 4 color printing with lower minimum order quantities and up to 8 color for larger production runs. 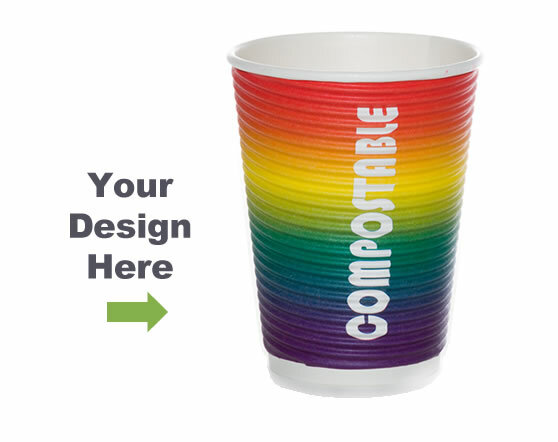 Our custom cups are a ASTM D6868 Certified Compostable cup.